Since the 11th century, Jagannath Temple has been standing and showing its miracles to the people. Here Lord Jagannath, Balabhadra, and Subhadra are worshiped. The mythology associated with this Jagannath Temple is extremely miraculous. The belief in Lord Jagannath grows even stronger after you feel the existing powers and happenings in that place. Many scientists and intellectual people have tried to find out the reason behind these weird or you can say paranormal activities but without success. There are a number old works in Sanskrit which sing the glories of Odisha in general and of Puri in particular. 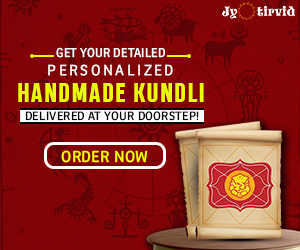 A passage is frequently quoted from the Rig Veda and explained in the light of the well-known commentary of Sayana to show that the history of Jagannatha dates back to the age of the Rig Veda itself. Even in the Ramayana and the Mahabharata, there are references to the Shrine of Jagannatha. The Pandavas of the Mahabharata are believed to have come here and offered worship to Jagannatha. , Some scholars hold that even Jesus Christ and Mohammed, the founders of Christianity and Islam respectively also visited Puri. Jagannath Rath Yatra is one of the awaited Indian festivals, which witnesses millions of people in Odisha at Puri for catching a single divine darshan (glance) of Lord Jagannath along with his sister, brother. Devotees also start booking Puri Hotels with holiday packages for attending 10-15 days in a Car- festival at famous– Jagannath Temple. This Jagannath temple is located in Bangladesh and is a significant medieval religious structure. It seems to be octagonal shaped and is a majestic establishment which dates back to the 16th century. 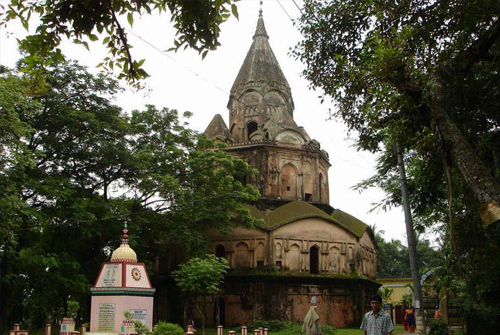 In fact, Jagannath temple is presumed to be one of the oldest on the soil of Comilla as well as of the state. The temple’s terracotta brickwork is designed in the typical Bengal style of temple architecture. 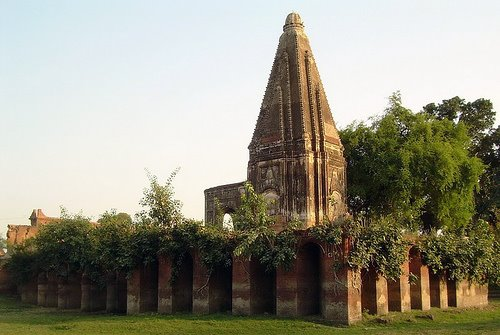 Handial Mandir is another famous Jagannath temple situated in Bangladesh which is popular as with the name of Handial Mandir only among the locals, because of its location in the Handial village. This temple was built between 1300 and 1400 CE and seems to be pretty Old. The Jagannath temple is adorned with beautiful terracotta designs of Hindu culture throughout. The Oriya community in Australia took the initiative to build this beautiful Jagannath Temple in Australia’s capital city. Every year Rath Yatra is celebrated here with a lot of pomp and show and seems similar to that of Puri Rath Yatra. One of the aims of the Festival is to Increase awareness about Indian Culture/Art and to promote peace and harmony among the local communities. ! If you are at Australia, then Plan a holiday package to Jagannath temple and visit nearby places as well for a change. This Jagannath temple is located in Trafalgar Square. Lord Jagannath along with his siblings and consort are worshiped in this temple. Huge wooden carts are pulled during the famous cart festival. 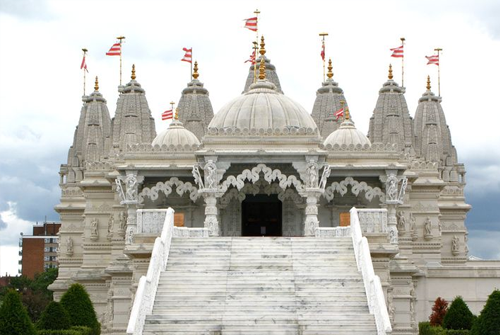 London has many religious places including Jagannath temple, churches etc. Car- Festival- Jagannath Rath Yatra is on its way and people are curious to take a glance of Lord Jagannath and his siblings. Do not miss this chance and organise a holiday package towards this holy temple and also witness other nearby holiday places and temples. The Jagannath Temple is in Villa Vrindavan which is situated in Sant’Andrea in Percussina, a hamlet in the township of san casciano Val di Pesa, close to Florence. The main building is a sumptuous Renaissance villa dating back to the first half of the sixteen century and it dominates the 198 acres of property, with its lush woods and hundreds of olive plants. The view all around the Jagannath Temple is breathtaking, making it easier to understand why this small corner of paradise was named after the eternal residence of Lord Krishna. It is believed that Srila Prabhupada established the first western Ratha Yatra, in 1967 which was done in this Shri Jagannath Temple at San Francisco. 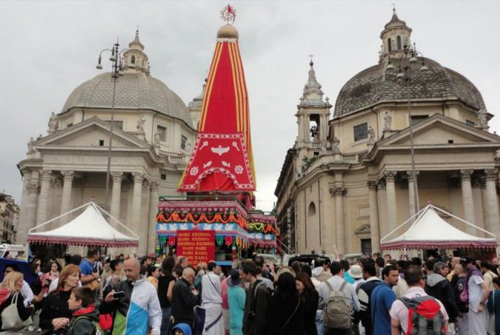 Since that time, Puja of Jagannath and Ratha Yatras have manifested in cities, towns, and villages around the world. 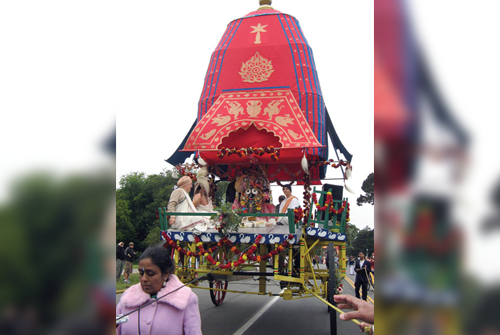 Hindus and other San-Francisco residents are die-hard fanatics of Lord Jagannath and wait for this big-festival to come for its happening commemoration and rituals performed by the local priests inside the main Jagannath Temple. They even plan holiday package for two-three days and throng at this place for a spiritual getaway. In 2008 performed first “Pratistha” of Lord Jagannath in Bishnu Shiva Shakti Temple inside Bharat Sevashram Sangha, Aurora, IL. Since then it is carrying out the daily worship and special devotee sponsored Puja on every Sunday. In 2010 it performed Pratistha of the main deities. Along with daily worship, it celebrates a number of major festivals of Lord Jagannath. 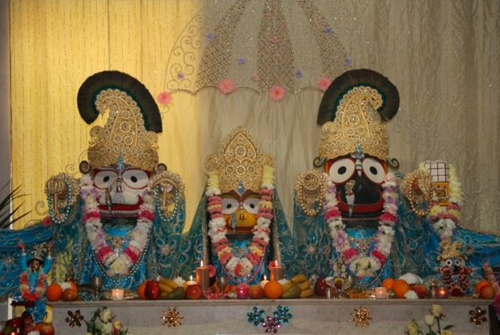 In 2014, the Jagannath Temple location has moved to BPA-Mata Ji Temple in Elgin, IL. In addition to regular Puja serviced to Lord, Jagannath Temple is also conducting various charitable activities such as food donation drive, school supply donation drive to support the poor people and children of Aurora, IL, donated to Haiti Earthquake victims, supported an orphanage center in Cuttack Odisha India. The charity has been a major part of its annual activities. It believes in “Service to mankind is service to Lord”. This Jagannath Temple is a part of the Iskcon Temple initiative which worships the presence of Lord Vishnu and is located at Selskohozyaistvennaya, Moscow. People in huge numbers come to visit this temple which is sometimes included in holiday package and show their devotion to the Lord. 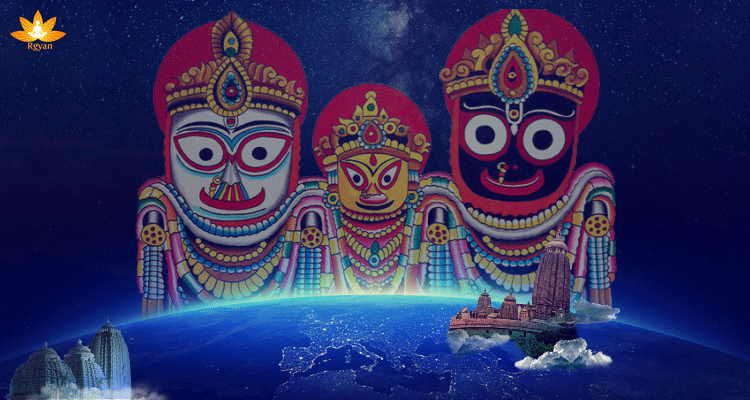 Lord Jagannath being the Lord of the universe did not leave any corner of the world. He made sure that every devotee of his gets the chance to visit him and seek his blessings. 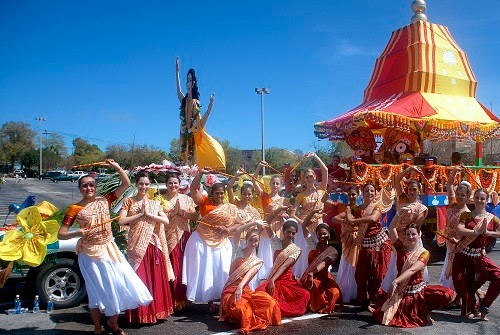 Hence, you can find a beautiful temple of Lord Jagannath in Mauritius as well. 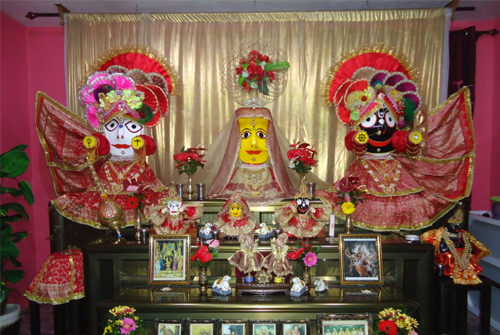 This Jagannath temple is managed by the organization ISKCON and is visited by thousands of devotees on the unique car festival- Jagannath Rat Yatra. 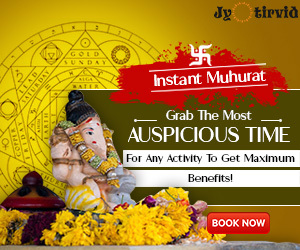 If you are at Mauritius and desire to take a holy glimpse of Lord Jagannath, must manage a holiday package towards this sacred Hindu temple for pomp and splendour. Thanks Salman for your valuable advice.